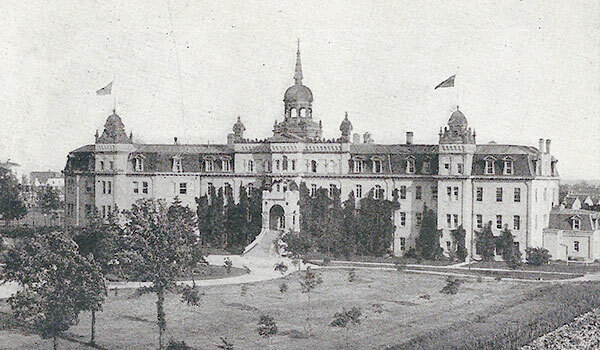 The rear of the building at this site in St. Boniface is all that remains of the original St. Boniface College building, which was built in stages between 1880 and 1902 on a design by architect Balston C. Kenway. It burned on 25 November 1922, killing ten people and completely destroying the remaining parts of the building, leaving the kitchen wing intact. In March 1929, the structure was transformed into a chapel. 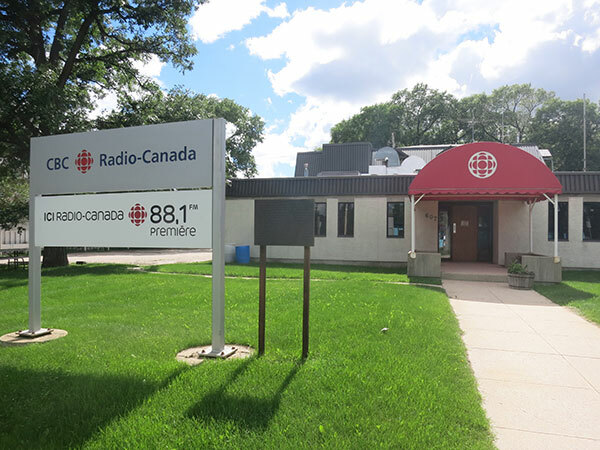 In the 1940s, the building was renovated to become the first French-language station, CKSB, which began broadcasting on 27 May 1946. A French-only plaque on the front grounds, erected by the St. Boniface Historical Society in November 1982, describes the history of the site.